I was a Burroughs Scholar from 1973 until 1977. During that time I worked as an intern at the Burroughs Plymouth plant near Detroit Michigan which manufactured the L-series accounting mini-computers. Burroughs awarded me a scholarship my senior year at Wayne State University in Detroit, where I received my Bachelor of Science Degree in Electrical Engineering (with distinction). I was admitted to the Graduate Program at MIT in Cambridge, Mass. In 1974, Burroughs also awarded me a scholarship which helped me pursue my graduate work. I received a Master of Science Degree in Electrical Engineering at MIT, with a minor from the Sloan Business School. 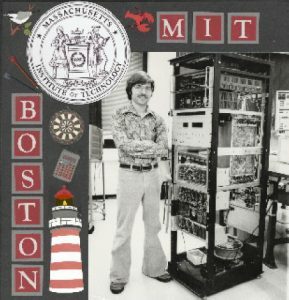 After graduating from MIT, I worked for the Burroughs Corporation for a little more than five years, from January of 1976 until spring of 1981. I first worked at the Memory Systems plant in Piscataway, New Jersey. After a year I transferred to the Large Systems plant in Mission Viejo, California. The Large Systems plant manufactured the B6000 series mainframe computers.